Teraz w Google Analytics możesz przeglądać statystyki swoich strumieni. Podajesz nam ID. To wszystko. 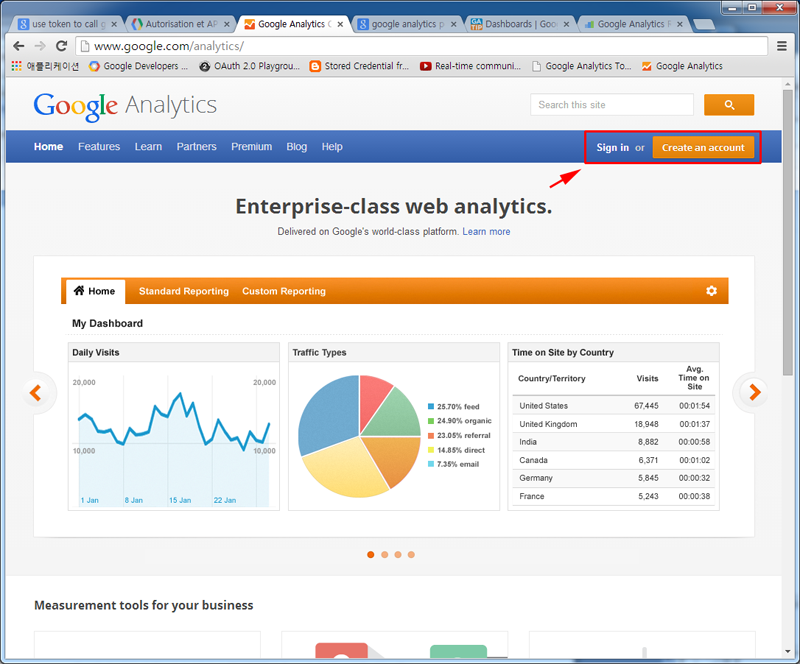 To use this module, you must first have a Google analytics account. 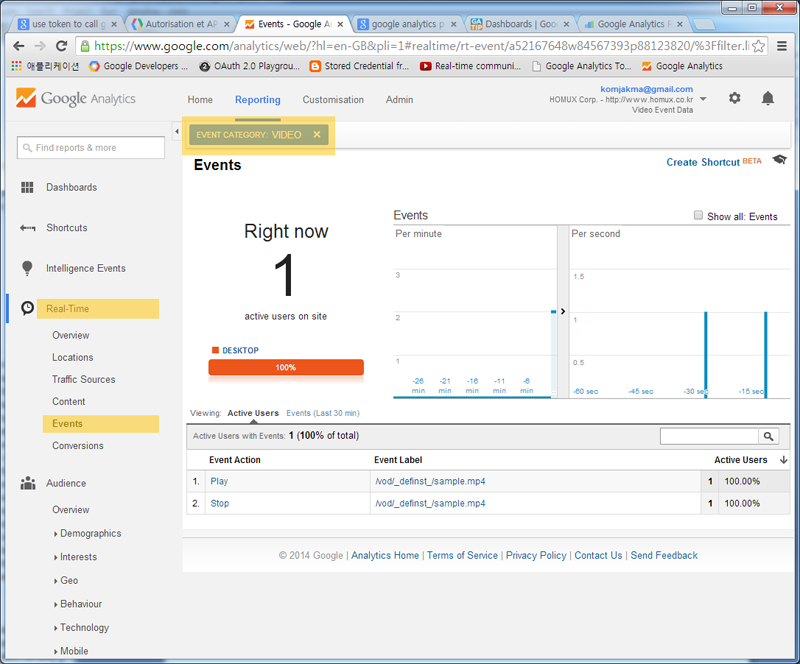 (http://www.google.com/analytics/) After signing up, you’ll get the Tracking ID, appearing similar to UA-XXXXXXXX-1. This tracking ID is the link between us and Google Analytics server. 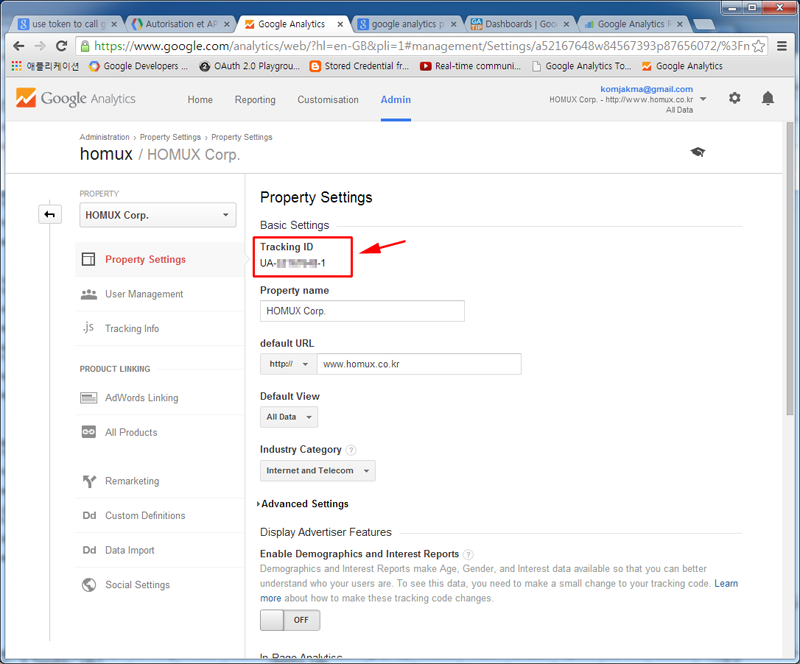 Tracking ID can be found at the following menu in Google Analytics. - Google Analytics > Sign-in > Admin > PROPERTY > Property Settings > Tracking ID Events will be reported to your Google Analytics account and will be collected under the “Google Analytics > Reporting > Real-Time > Events”. 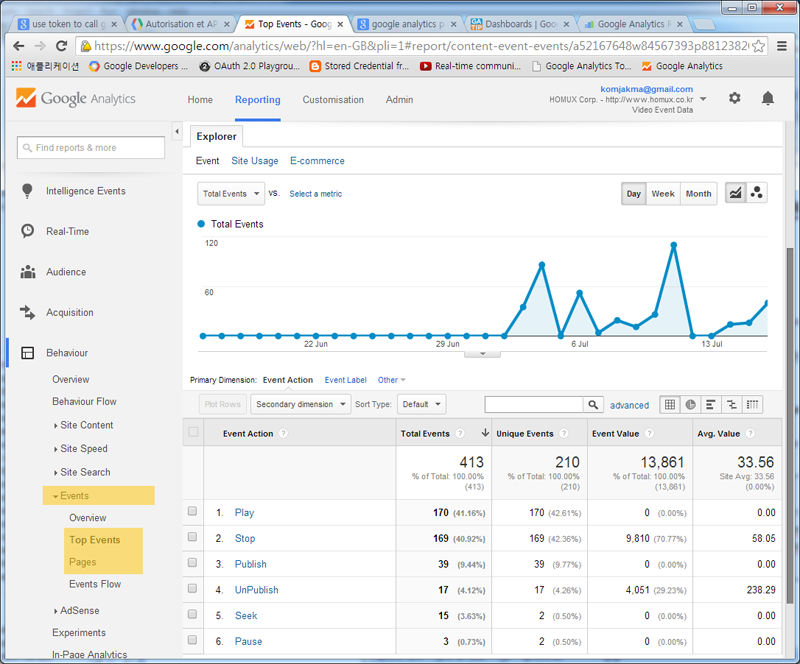 If you want Behaviour report, it can be found under the “Google Analytics > Reporting > Behaviour > Events > Top Events”. Analytics are updated on a daily basis.